The Provincial Disaster Risk Provincial Disaster Risk Reduction and Management Council (PDRRMC) of Surigao del Norte has declared the entire province on alert level 2 as heavy rainfall is expected brought about by the low pressure area to affect the whole of Mindanao. 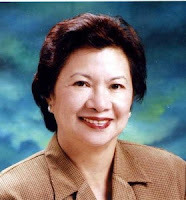 PDRRMC Chairperson Gov. Sol Matugas said that families in flood-prone areas are now evacuated to schools. Gov. Matugas also revealed that relief goods and flashlights are now ready for distribution. “Medical teams are also mobilized,” said Gov. Matugas. The lady governor also instructed the 5 zone-coordinators led by the local mayors to supervise the pre-disaster work in their respective area of responsibility.